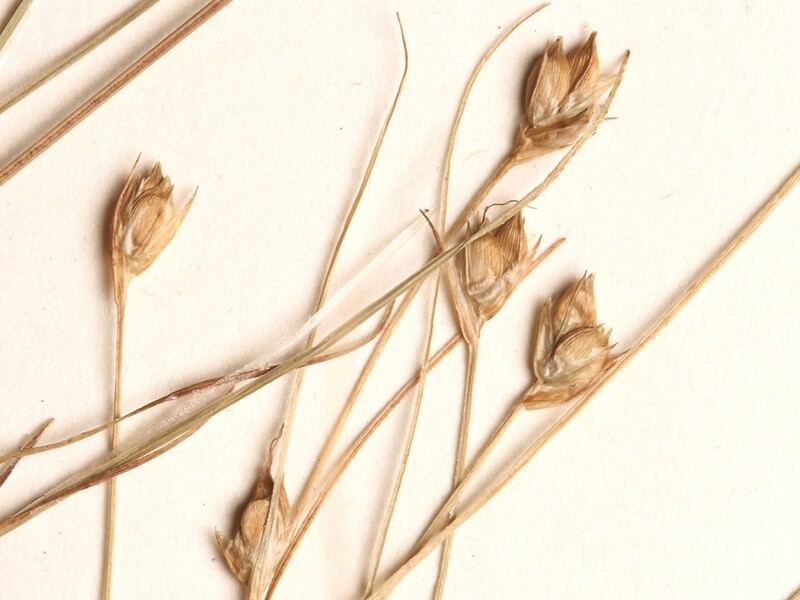 Billings' sedge is rather similar to Carex trisperma, but differs in having typically one or two instead of three perigynia per spike, and much narrower leaf blades, only reaching one half millimeter wide as opposed to one and a half to two millimeters wide in three-seeded sedge. 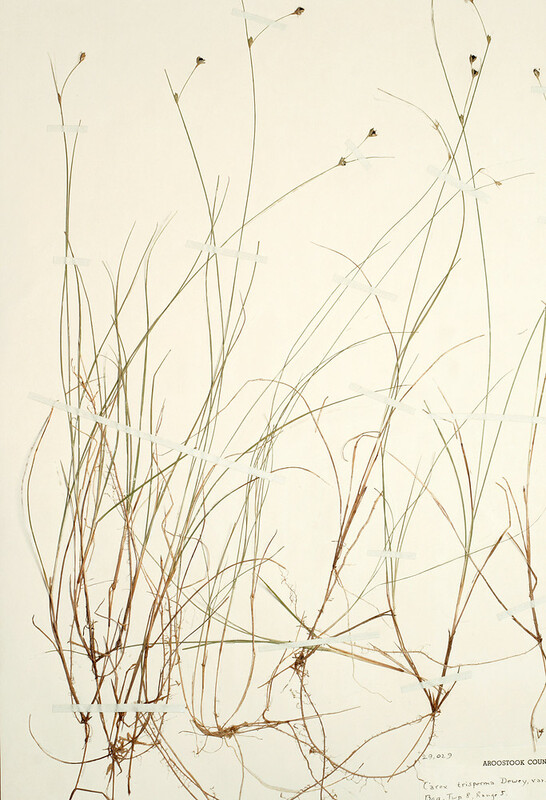 Furthermore, Billings' sedge is found in acid bogs in full light, whereas three-seeded sedge is more typically found in shaded situations. 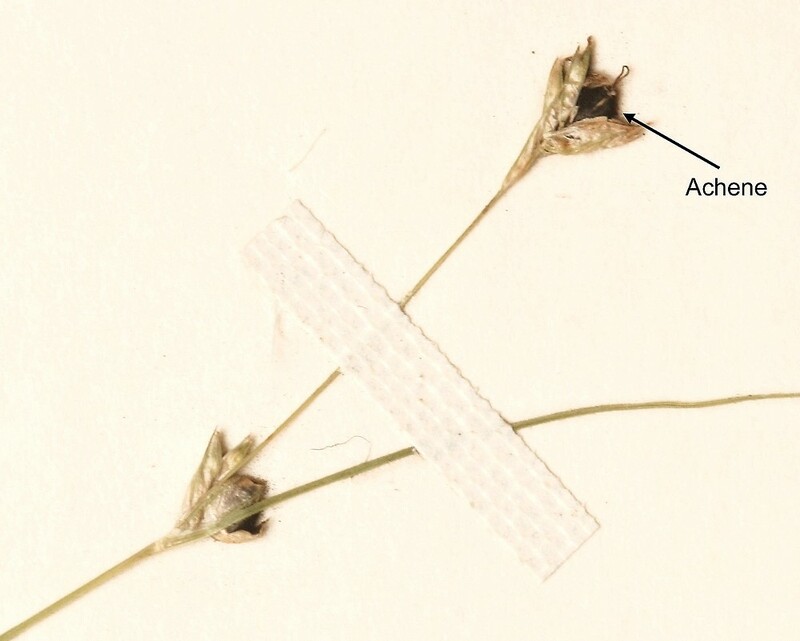 leaf blades mostly 1-1.9 mm wide, flat to partially folded, and ligules 0.5-1.9 mm long (vs. C. billingsii, with leaf blades mostly 0.3-0.5 mm wide, involute, and ligules mostly 0.3-0.8 mm long). 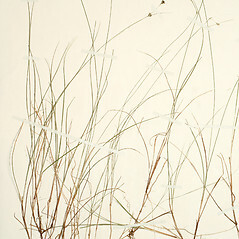 Billings’ sedge. 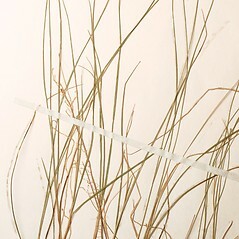 Carex trisperma Dewey var. 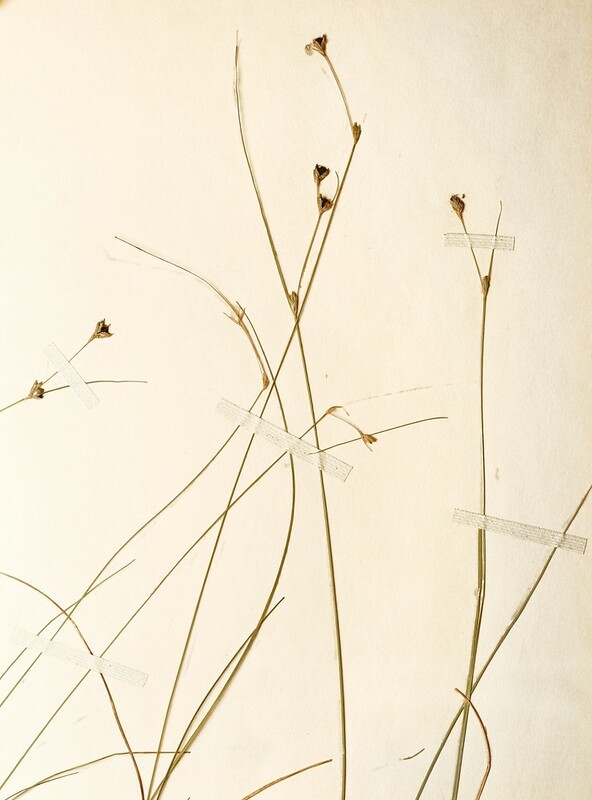 billingsii Knight • CT, MA, ME, NH, RI, VT. Open bogs, rarely in the shade of trees. 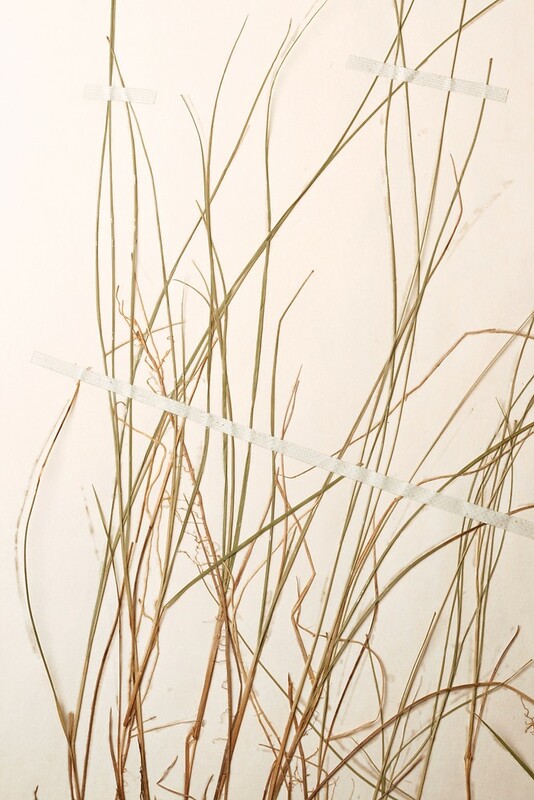 Carex billingsii has been treated as a variety of Carex trisperma and the two are, in fact, quite similar in many morphological details. 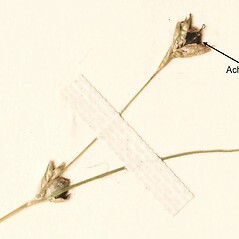 However, they are easily separated by comparison of leaf blades. 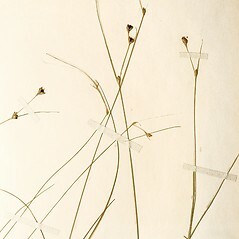 Further, they usually grow in different plant communities. 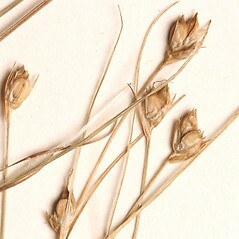 Carex billingsii is usually found in open, acidic situations, whereas C. trisperma is normally found in shaded situations of varying pH.